@Backroadsfishing, Charleston, WV. The back roads for sure, I'll be back from home from Nipissing for about three weeks. Then heading to Quebec to fish Zec Kipawa. My buddy retired in Thorne ON, Wyse Road just before you cross the dam, about a 15 - 20 minute drive to Kipawa from there. FatRap, we go out in the Zech. 69km out the haul road. Lol, had to google that one, a little further than a 15 to 20 minute drive. Looks like a great area to fish, what are targeting up there? Give us a report this summer when you get back and let us know all about your trip. 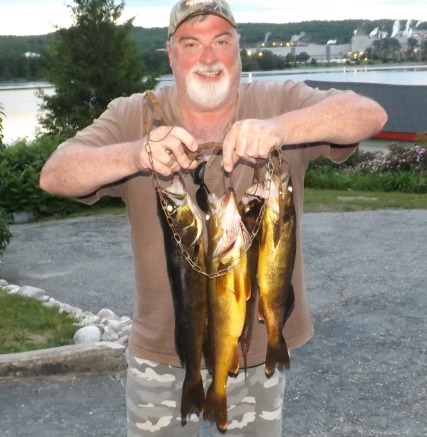 FatRap, Walleye, Northern and an occasional Laker. That 69km out of Bearn can take a couple hours to drive. Not much out that far, a few cabins on the lake. Most are empty when we are there, we camp on an island. I will do a post though when we return.